The SUA1500X93 Smart-UPS Uninterruptible Power Supply from APC is a professional uninterruptible power supply designed to prevent blackouts, brownouts, sags, and surges from reaching your valuable equipment. It filters small utility line fluctuations and isolates your equipment from danger by internally disconnecting it from the utility line. When disconnected from the utility line, power is provided continuously from its internal battery until normal or safe conditions return or the battery is fully discharged. 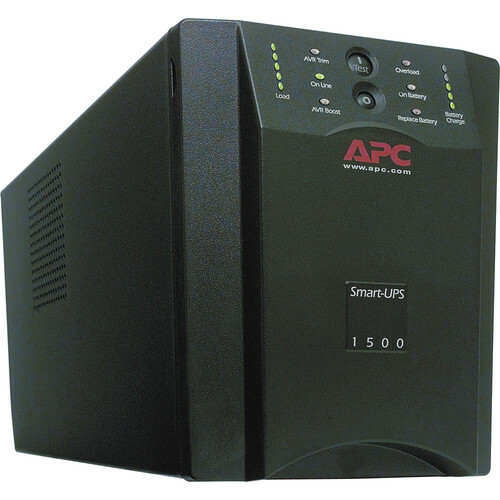 Use this unit to protect your equipment from power surges, as well as ensure a continuous source of temporary backup power in case of emergencies. Box Dimensions (LxWxH) 23.0 x 15.0 x 13.0"